This is a very interesting Japanese maple that has a natural weeping habit. When staked to grow upright, which really is necessary to get the tree to grow to any height at all, the branches are truly pendulous and weep straight to ground like water flowing over a dam. The deep green leaves emerge a light green and as the season progresses they take on a very deep green color. But come fall the tree comes alive with a display of orange and red colors that really catch the eye. and Selling Small Japanese Maples. The demand is growing. Ryusen does well in zones 5 -8 but actually tolerates the heat and sun better than most Japanese maples, making this an excellent plant for warmer climates. Like all Japanese maples it likes to be planted in good, rich soil that drains well. Growing and Selling Small Japanese Maples. We need you! I’d be interested in growing some Japanese maples. If you can hook me up with a supplier of seedlings, I’d appreciate it. Helen, just yesterday I saw some Japanese maples advertised yesterday from one of our wholesale sources in the buy sell area. The nice thing about this source is you don’t have to buy a large quantity. I can’t post any details here but as long as you are receiving the Backyard Growers Ecourse I’ll send you information soon about how to get in on these deals. When you say you bought the package, I assume you mean this http://freeplants.com/wanted.htm. 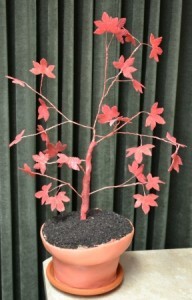 Check the wholesale directory, I know some of the suppliers in their also have plenty of Japanese maples. I’ve purchased thousands of them for this spring. I would be interested to grow Japanese maples. If you can hook me up with a supplier of plants, I’d appreciate it. 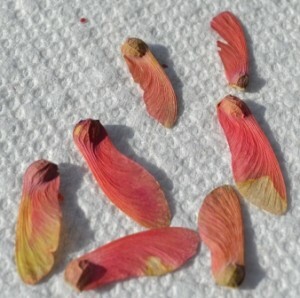 I live in zone 8 and I am interested in growing Japanese Maples but have not had any luck in finding anyone to help me out. Can you help me get started. Thanks for sharing your wealth of information. Is there much demand for the bonsai maples and if so which is in more demand?